Learning English as a second language or earning your ESL certificate online is easier than you think. You can take courses in the comfort of your own home, but is it the right decision for you? This pros and cons list is just what you need to figure out your path. Going to class in-person the traditional way can be tough if you have a busy schedule. Earning your ESL certificate or taking English classes online gives you the opportunity to do your assignments and attend class when you’re able. Learning English as a Second Language or earning your ESL certificate online could seem impossible for someone that isn’t skilled with technology. 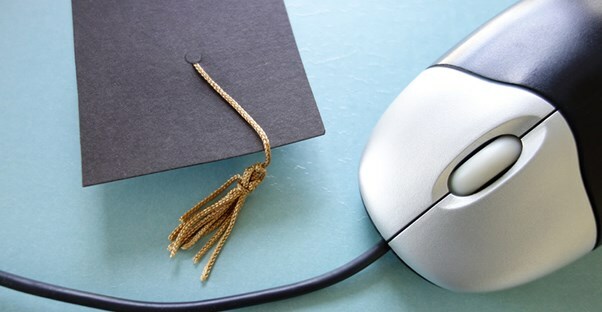 Online classes do require you to use a computer and sometimes other programs to access course materials. If you have a hard time with this technology, you could fall behind and earn bad grades. Online English classes give you the opportunity to learn the way that you know best. Online translators, quizzes, and English vocabulary could be easier to learn while you’re at home in a comfortable environment. It could also decrease the amount of test anxiety for those that have issues taking exams. Unlike traditional classes, online English courses require you to manage your own time. You get to choose when to complete your coursework, but it can be hard to finish your assignments. It takes a lot of willpower and self-determination in some circumstances. Everyone moves at a different pace. A native English speaker could learn faster than someone who is learning English as a second language. Online English courses give you the opportunity to take your time and spend as much time as you need to take quizzes and finish assignments. Speaking with other students in class is an advantage when you don’t understand a project or you can’t grasp an assignment. Online classes lack engagement with classmates, which could make it harder for you to learn or stay involved. You also cannot learn the tips and tricks that other students use to remember vocabulary or finish coursework. On average, online English classes are cheaper than traditional classes. Sometimes, you can find an online class for free or as low as $50 on sites like Udemy. If you prefer to attend a college, universities like Sacred Heart charge as little as $480 per program level. You may have the occasional question for your teacher while learning English whether you're a native speaker or non-native. Traditionally, you can simply meet with them after class, but online courses require you to send an email if you want to speak to your teacher. If there is a connection issue or technological problems, you may not be sure if your teacher got your contact at all. This can make it difficult to course work if you have a question on an assignment.